COLUMBUS, Ohio – Youth hunters harvested 1,318 wild turkeys in Ohio’s 2019 youth spring wild turkey season, according to the Ohio DNR Division of Wildlife. That was down from 1,860 birds last year. Hunters age 17 and under were eligible to participate in the two-day season, April 13-14. All participants were required to possess a valid Ohio youth hunting license, a spring turkey permit and be accompanied by a non-hunting adult. The youth turkey season was open statewide, with the exception of Lake La Su An State Wildlife Area in Williams County, which required a special hunting permit. The youth spring turkey season is one of four special youth-only hunting seasons designed by the Division of Wildlife to offer a safe and productive early hunting experience for young hunters. 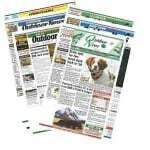 Special hunting seasons are also available for upland game, white-tailed deer and waterfowl. The state has two zones for spring turkey hunting: the south zone and the northeast zone. For 2019, the south zone hunting dates are from Monday, April 22, to Sunday, May 19. The northeast zone dates are from Monday, April 29, to Sunday, May 26. The spring turkey season is open statewide except for Lake La Su An Wildlife Area. 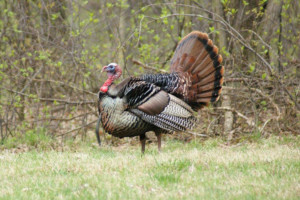 Hunters can view the 2019 spring turkey season zone map and harvest regulations at wildohio.gov. Ohio’s first modern day wild turkey season opened in 1966 in nine counties, and hunters checked 12 birds. The total number of harvested turkeys topped 1,000 for the first time in 1984. Turkey hunting was opened statewide in 2000. Following is a list of all wild turkeys checked by hunters during the 2019 two-day youth spring hunting season. The first number following the county’s name shows the harvest numbers for 2019, and the 2018 numbers are in parentheses. Adams: 25 (28); Allen: 5 (8); Ashland: 23 (34); Ashtabula: 32 (35); Athens: 21 (29); Auglaize: 5 (6); Belmont: 38 (54); Brown: 36 (25); Butler: 10 (18); Carroll: 25 (36); Champaign: 2 (5); Clark: 1 (3); Clermont: 25 (24); Clinton: 6 (2); Columbiana: 30 (27); Coshocton: 40 (68); Crawford: 2 (9); Cuyahoga: 0 (0); Darke: 17 (9); Defiance: 16 (22); Delaware: 6 (10); Erie: 5 (1); Fairfield: 3 (4); Fayette: 1 (1); Franklin: 0 (1); Fulton: 7 (11); Gallia: 26 (31); Geauga: 17 (13); Greene: 2 (0); Guernsey: 43 (63); Hamilton: 4 (5); Hancock: 1 (0); Hardin: 8 (7); Harrison: 38 (66); Henry: 10 (9); Highland: 23 (28); Hocking: 10 (35); Holmes: 28 (36); Huron: 8 (13); Jackson: 21 (41); Jefferson: 31 (35); Knox: 28 (38); Lake: 6 (1); Lawrence: 17 (35); Licking: 21 (43); Logan: 7 (8); Lorain: 10 (9); Lucas: 3 (9); Madison: 1 (0); Mahoning: 18 (10); Marion: 2 (2); Medina: 6 (11); Meigs: 38 (60); Mercer: 1 (3); Miami: 2 (2); Monroe: 66 (81); Montgomery: 2 (1); Morgan: 25 (44); Morrow: 13 (19); Muskingum: 30 (90); Noble: 50 (74); Ottawa: 0 (0); Paulding: 3 (6); Perry: 19 (50); Pickaway: 1 (2); Pike: 15 (12); Portage: 18 (20); Preble: 6 (9); Putnam: 6 (9); Richland: 21 (31); Ross: 17 (36); Sandusky: 0 (0); Scioto: 11 (15); Seneca: 13 (12); Shelby: 2 (6); Stark: 11 (21); Summit: 5 (2); Trumbull: 22 (26); Tuscarawas: 47 (59); Union: 4 (4); Van Wert: 2 (2); Vinton: 28 (42); Warren: 5 (8); Washington: 39 (60); Wayne: 11 (13); Williams: 7 (19); Wood: 0 (0); Wyandot: 8 (4).